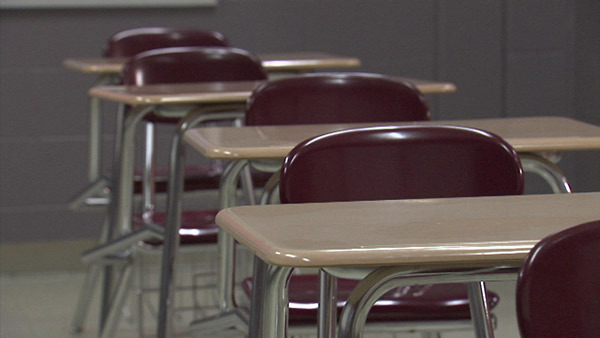 BERWYN, Ill. (WLS) -- A west suburban school district said a report released Tuesday claiming one of its teachers was reassigned after punishing students for speaking Spanish is false. The Mexican American Legal Defense and Educational Fund reported that a third-grade teacher has been reassigned after punishing her students for speaking Spanish in the classroom. MALDEF reported the teacher was removed from the classroom at Emerson Elementary School in the Berwyn South School District. More than 80 percent of Berwyn South's students are Latino, according to the Illinois School Report website. But in a statement Wednesday, the district said those reports concerning the alleged incident and the teacher's reassignment were false.